To help reduce hunger and snacking. Directions: Adults - Take 1 tablet twice daily 30 minutes before meals. 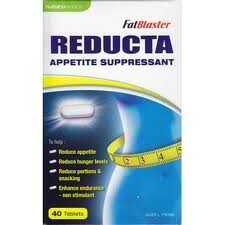 Always use in conjunction with a healthy energy controlled diet and exercise program. Free from yeast, lactose, sugars, starch and gluten. This product has been blister sealed for your protection. Do not use if blistering is broken or damaged. Keep out of reach of children. Store below 25°C. If symptoms persist, see your healthcare professional.